Sweet and tender shredded pork just like the one from Café Rio. Perfect for burritos, salads and tacos! 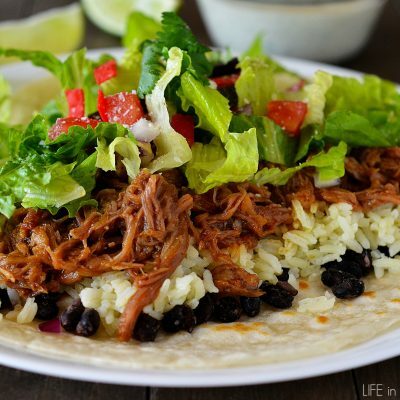 Serve pork in burritos, salads and tacos!